On Tuesday August 9, 2016, NSLI-Y students in Nanjing travelled via train to Shanghai for a meeting with U.S. Secretary of Education, John B. King, Jr., and other Department of Education officials. The meeting was held at the U.S. Consulate in the historic district in Shanghai, home to many embassies and historic mansions. The students were greeted by Joshua Lustig, Cultural Affairs Officer and Marina Ritseme, Vice Consul. 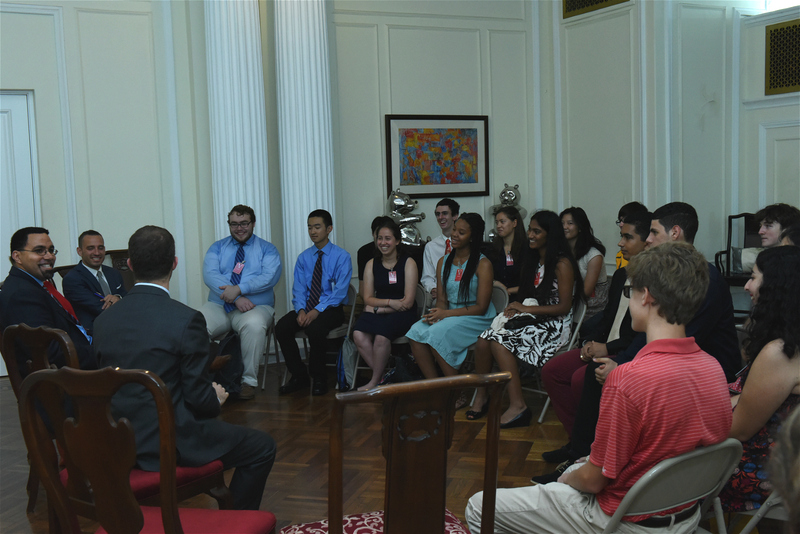 The students were given a brief tour of the Consulate, a historic mansion, and then were seated for a discussion with the Secretary and other officials. The round-table discussion provided the NSLI-Y students with an opportunity to describe their time as NSLI-Y students in Nanjing. Secretary King first asked students to discuss some of the differences they had experienced as students in the U.S. and China. Many NSLI-Y students drew upon discussions they had with their host siblings to describe similarities and differences between the two systems. Many spoke about the pressures of testing in China, the amount of homework, and the emphasis on memorization in the classroom. 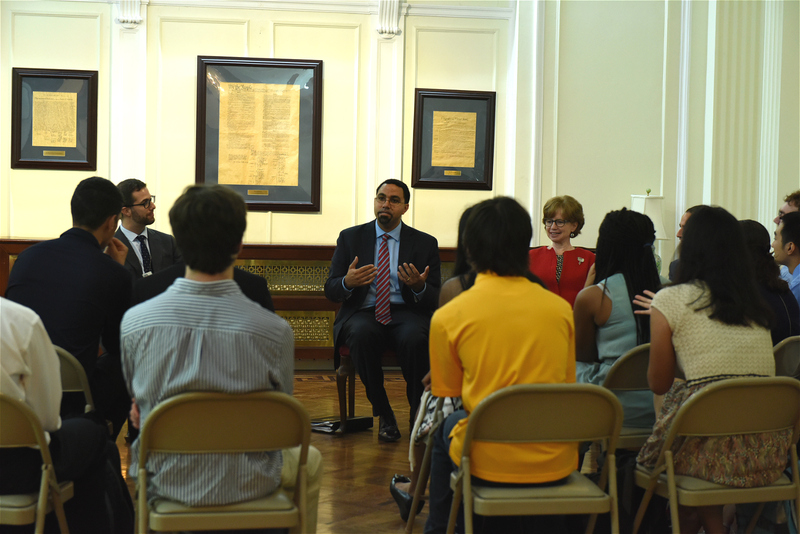 The conversation then turned to education in the United States, where several students from the Chicago area took the opportunity to speak about the Chicago Public School system with Secretary King, who served as the Commissioner of Education for the State of New York. After more than an hour and a half, Secretary King concluded the discussion by asking students to return to their hometowns and encourage and engage their community by describing the NSLI-Y program and other educational opportunities. He also noted that failures, such as a bad test score or not receiving a certain scholarship, should not be looked upon as failures but rather new opportunities. NSLI-Y students left the Consulate engaged and excited to continue their Chinese studies and be a mentor to other students in the U.S. They were grateful for the opportunity to visit the Consulate for such a memorable meeting.